I started with some Gingham Linen Petite Prints in Lily White and Beetle to make my "chalkboard" I added my name and some flowers for decoration. 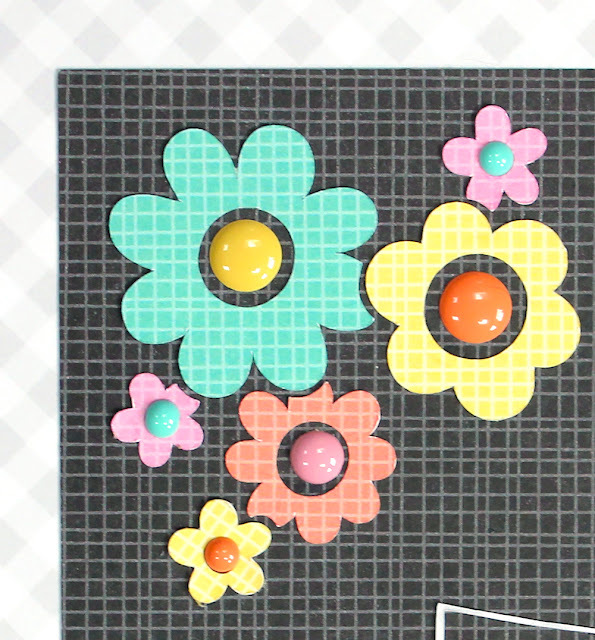 The flowers are from the Flea Market Flower Cluster Cut file available in the Lori Whitlock SVG Shop here, and the Silhouette Store here. I moved them around and cut out the centers, then added some sprinkles to make them look more like they were drawn. I drew the frame using the sketch pen feature in my Silhouette. I then labelled all of the sections using various Doodlebug Alphas. I don't love my handwriting, but since this was about me, I decided the details should be written in my hand! The little pictures were created in Photoshop then printed and cut. In addition to the pictures I thought it would be fun to add some Doodlebug Shaped Sprinkles and Mini Icon Stickers as well. I will admit, it took me a long time to complete this, but I'm pretty happy with the results! That's it for me today, thanks for stopping by to peek. This is so much fun! The little details with your likes and dislikes are wonderful! So adorable! Love that you found Doodlebug embellishments for your dislikes. Those peanuts are too cute! OMG WOWZERS What a Positively Precious & Funtabulous Layout!! Your total idea is Incredibly ingenious!! 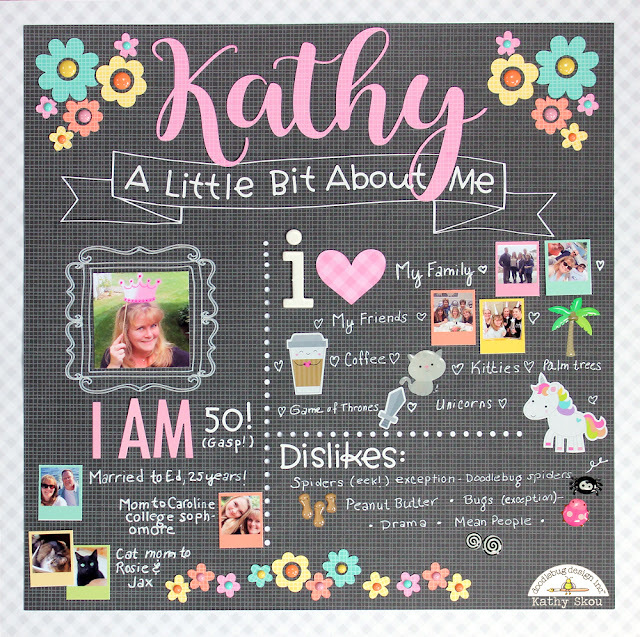 Your pictures are adorable...and all of your journaling and embellishing ideas are Outstanding...your most definitely created on Spectacular Layout!! Thanks for sharing your Tremendously Terrific Tips, Tricks & Techniques. YOU so ROCK!! 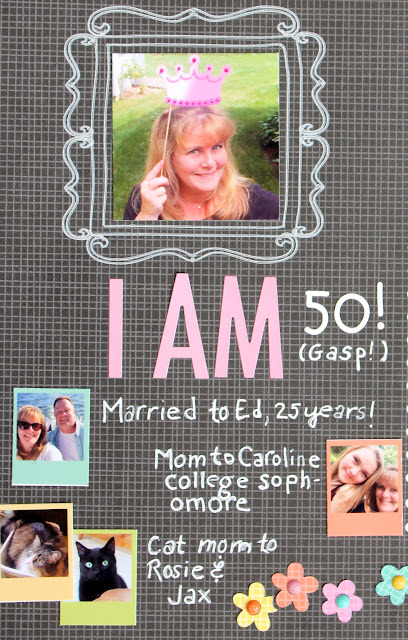 Love this!I've done this for my kids but never thought to do it for myself, great idea!